Sending your wedding guests home with a little “thank you” is a must. They’ve supported your relationship and traveled from far and wide to celebrate, so a token of your appreciation shows the utmost thought. 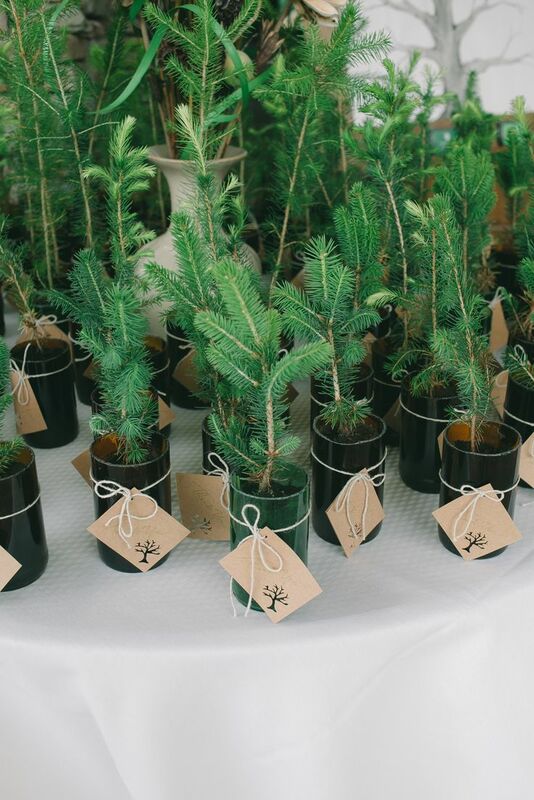 We encourage you to look to the season when your wedding falls to inspire wedding favors that your guests will love. 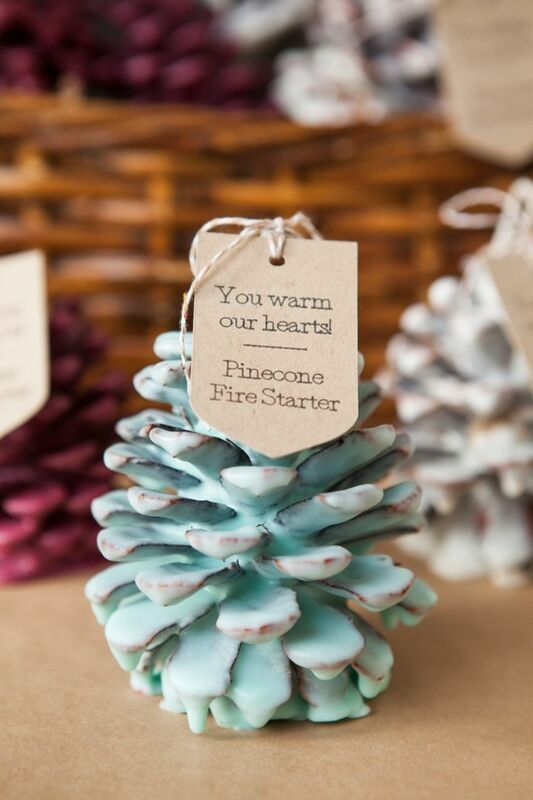 If a winter wonderland wedding is in your future, here are 10 favors your guests will cherish and use again. 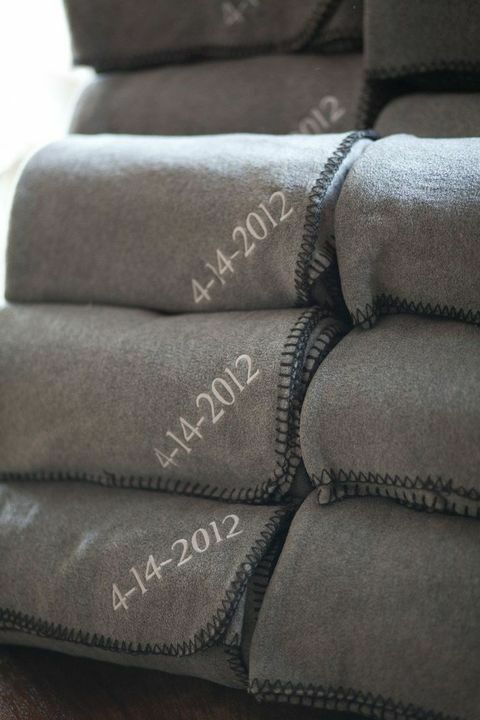 GET COZY: An embroidered throw will fill your guests with warm fuzzies of your big day for movies to come. DIY FIRE STARTER: Who doesn’t need help getting a fire to flame? 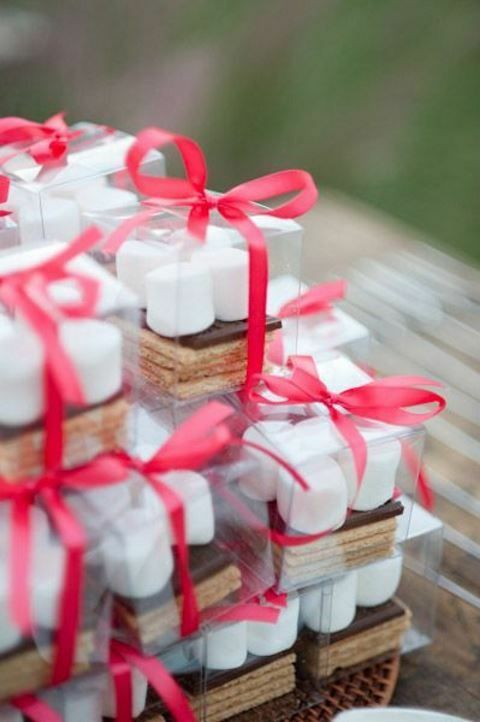 S’MORE LOVE, PLEASE: Universally beloved, you can’t go wrong with a make-your-own-s’mores kit. 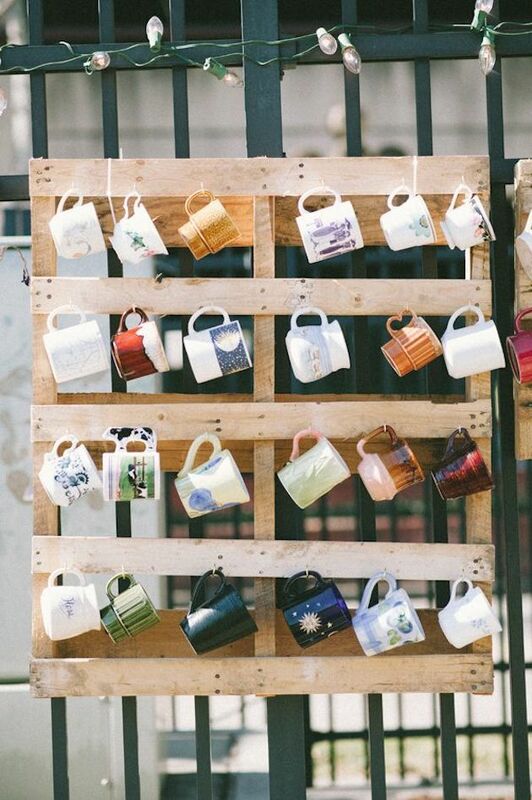 SOMETHING TO SIP FROM: Hang a variety of mugs and allow guests to choose one that tickles their fancy. 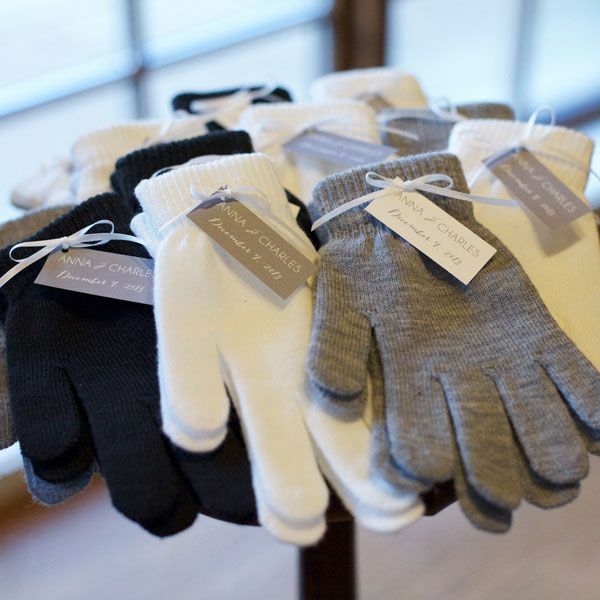 KEEP ‘EM TOASTY: A pair of inexpensive mittens is a sweet send-off. 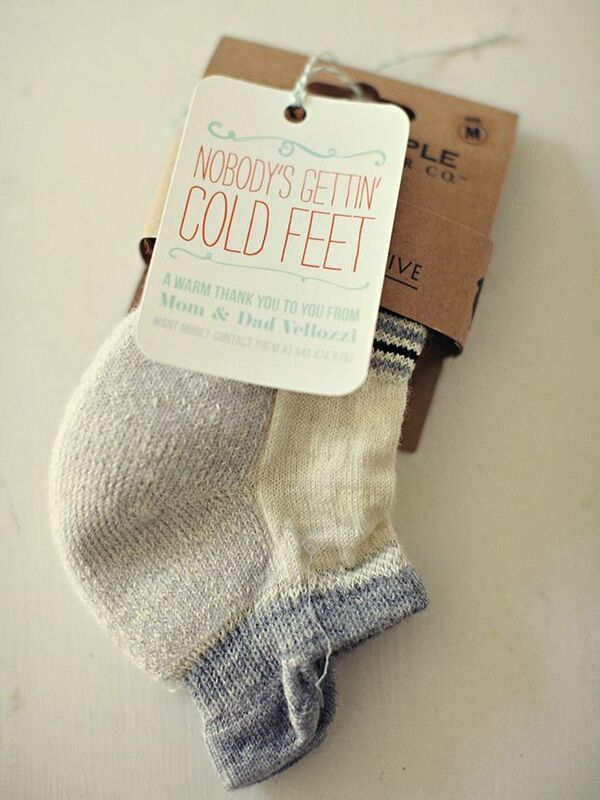 NO COLD FEET HERE: People can always use more socks. Get creative, and choose fun ones! 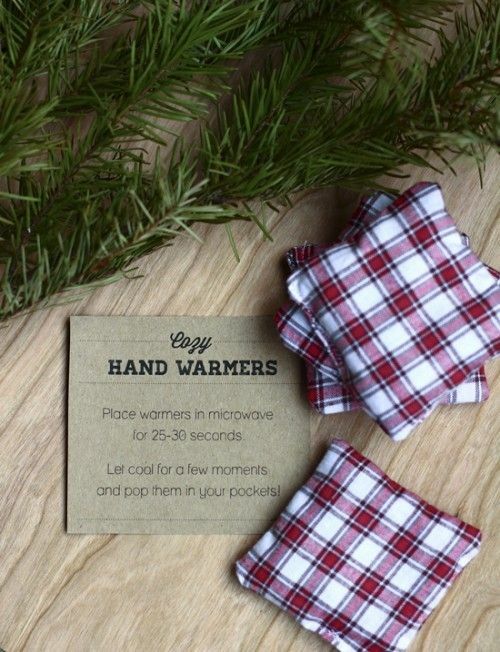 HAND WARMERS: These will come in handy at a cold football game or walk on a brisk day. MINI X-MAS TREE: The gift that keeps on giving. 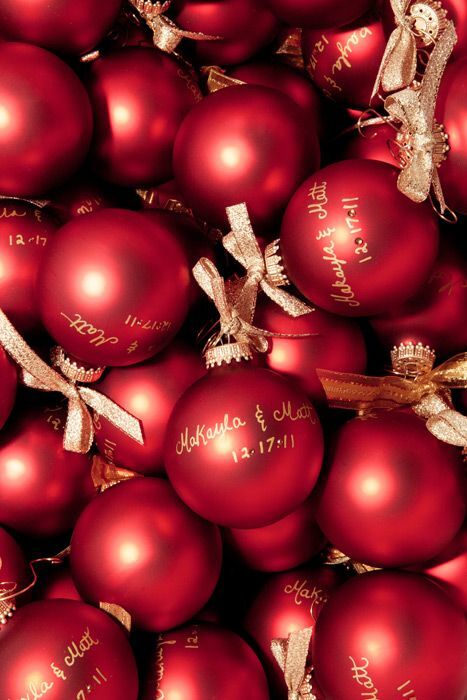 CUTE, CHRISTMAS ORNAMENTS: Simple and DIY-friendly, ornaments in your color scheme make for a fun goodie. 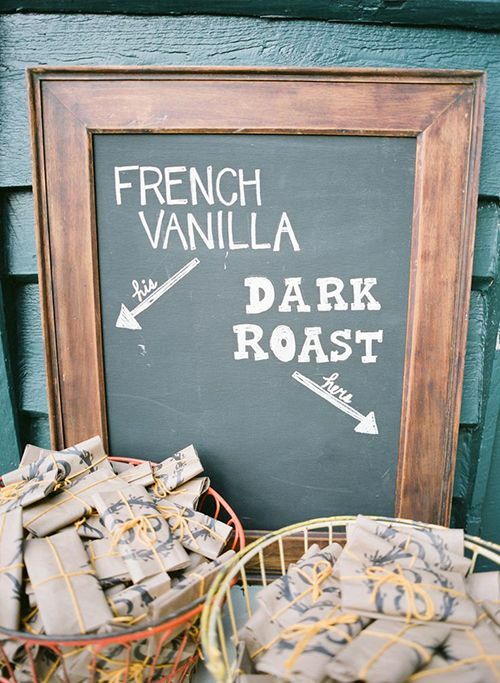 THE PERFECT BLEND: Guests will think of the happy couple with each brew.